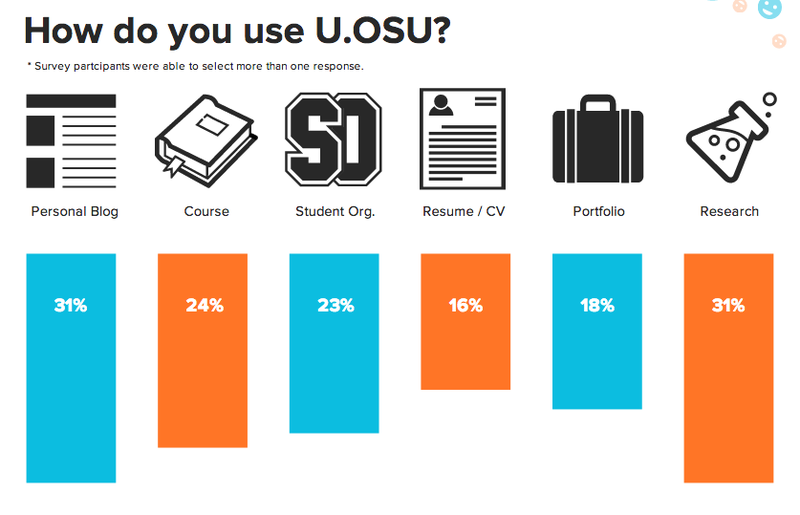 In our last newsletter we asked users a couple of questions, like “How do you use U.OSU?” and “What do you like about the service?” Your responses were tallied and we’re taking your comments and suggestions into consideration as we move forward to improve the university’s web platform service. View the entire infographic on ODEE News. We noticed some common requests have a few existing solutions or workarounds. Request: I want to include a form. Solution: Check out all the features Formidable brings to the table. Request: I would like my U.OSU to look like a website, not a blog. 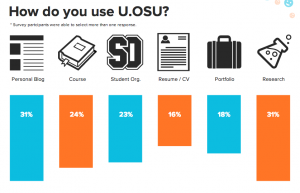 Solution: While U.OSU inherently lists your Posts in chronological order, a few changes in Settings can help customize the look and feel of your site. Use Pages to achieve a static website aesthetic.